In former decades who could ever have imagined that such a title as the above would see the light of day on the Catholic blogosphere? But such is the general attitude in Rome at these times, that “faithful Catholics” – by which term we refer to those Catholics who defend the fullness of traditional Catholic teaching – are becoming increasingly marginalised. And frustrated too, at the lack of correction from higher authorities in the Church towards these falsehoods aimed against them. As a psychiatrist, the recent false accusations from Rome against faithful Catholics reminds me of couples preparing to divorce. False accusations of hostility, divisiveness and hatred occur not infrequently in marriages with high levels of conflict and with impending separation or divorce. When of an extremely severe nature, such anger can lead to demonizing a spouse in an effort to undermine the trust of the children in that spouse and to obtain their loyalty instead. This pathological behavior is referred to as parental alienation and is clearly psychologically damaging to Catholic youth, spouses and families. Spouses who make false accusations against a husband or wife frequently have serious lifelong psychological conflicts often with excessive anger, a compulsive need to control and intense selfishness with an inflated sense of self. The goal of the accusations is primarily to control the spouse and children, as well as to gain custody of the children through divorce litigation. The origins of these actions are often from unconsciously modeling their presence in a parent or from giving into the pull of selfishness in the culture. I have specialized in treating excessive anger for over 40 years, and have co-authored two books on the topic for APA Books (see here). A challenging aspect of my professional life has been offering expert testimony in regard to allegations of excessive anger against a spouse in divorce litigation and in annulment procedures. Given this experience, I was deeply concerned by two recent articles in publications approved by the Vatican that levelled accusations of hostility, hatred and divisiveness against faithful Catholics. The first, by Fr. Antonio Spadaro and Marcelo Figuero in the Jesuit-edited journal La Civilità Cattolic, focused on Americans. And the second, by Fr. Giulio Cirignano in the weekend edition of L’Osservatore Romano, focused on bishops and priests. “The main obstacle that stands in the way of the conversion that Pope Francis wants to bring to the Church is constituted, in some measure, by the attitude of a good part of the clergy, at levels high and low … an attitude, at times, of closure if not hostility,” and “The clergy is holding the people back, who should instead be accompanied in this extraordinary moment. As with such accusations in marriage, it is important to attempt to evaluate these extraordinarily unusual claims, which most Bishops, priests and laity have never seen before from the Vatican. Regarding their credibility, it essential to examine responses to the accusations. I will cite only several of the numerous reactions that allege the accusations are odd, false, unprecedented and even irrational. Taking this as the heart of the Evangelical-Catholic alliance is so delusional that a Catholic must feel embarrassed that a journal supposedly reviewed and authorized by the Vatican would run such slanderous nonsense. Their essay can only be described as an attack against my friends and me and in my own pro-life and pro-family work at the UN, I work extremely closely with Evangelicals and other faiths, too, because we see a greater danger to ourselves than we see coming from each other. We see a war against God’s creation and all God’s children and must work together to protect his creation. … in his (Pope Francis) advisers’ essay, in their evident paranoia about what the Americans are up to, you see a different spirit: a fear of novelty and disruption, and a desire for a church that’s primarily a steward of social peace, a mild and ecumenical presence, a moderate pillar of the establishment in a stable and permanently liberal age. The weight of the evidence indicates that the major accusations in these two recent articles against Americans and Bishops and priests are false. In my professional opinion, the authors demonstrate no small degree of difficulty with excessive anger and a need to control and thereby in thinking that distorts their perception of reality and just judgment of other people whom they imagine as being inspired by ignorance or dark motives. Such accusations, as in Catholic marriage and family life, are profoundly harmful both psychologically and spiritually. Let us hope and pray that excessive anger from the Vatican diminishes, that respectful dialogue increases and that such accusations cease, for the good of the Church. Rick Fitzgibbons, M.D. is a psychiatrist in Conshohocken, Pennsylvania, who has written on accusations against priests, Accusations against Priests and conflicts in priestly relationships The Resolution of Conflicts in Priestly Life and Relationships. 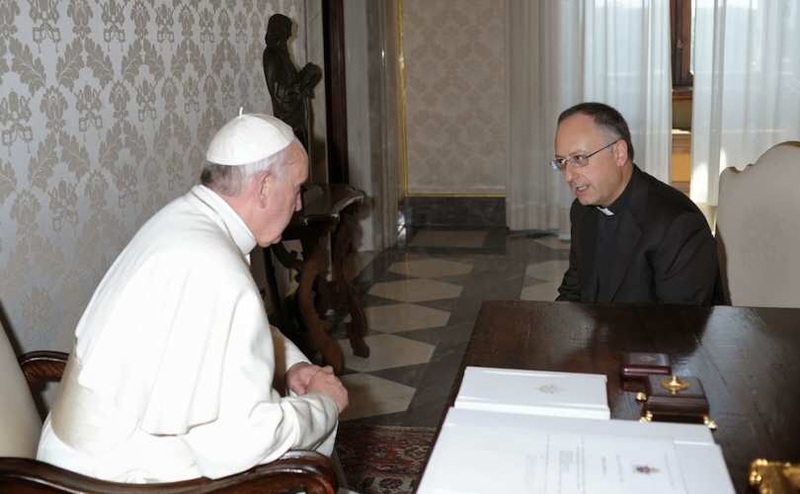 He has served as a consultant to the Congregation for the Clergy at the Vatican. It’s sad that Pope Francis nurtures and promotes the divisiveness mentioned here. For my part, I will always be a Catholic. Being such does not oblige me to genuflect to him. I wish things were different, but the Church will survive this worrisome time, and the next one too, if it comes to that. It sounds like personal encounter, intense dialogue, and a negotiator is in order to clear up this mess with the Pope and the people without any media! Words, misinformation, innuendos, defensiveness has caused too much discord that I don’t know who to believe. The silencing of the Lambs. For me it is very simply to remain with the Faith of all time as handed to the Apostles. A good turn of phrase, and sad but true. Yes, keep the faith! Don’t lose it. The church has weathered worse turmoil through the centuries than this. She is assured victory with Christ as King. Johnhenryen summed it up for me. My source of comfort is the catechetical teaching, reference to the bible, prayer and readings from the past saints and seers who predicted these events and how to stay faithful to the one, true and catholic teaching. They got it right, and it’s a source of comfort in a world of division, false teachings and hatred. Remember the Church Militant is only a part of the Church which is the mystical Body Of Christ! Faith is the Light in these times and Our Lord indicated this when He said would He find Faith when He returned. The Fathers of the Church said that the Church (Militant) would recreate the Life Of Our Lord and this includes the Passion and Resurrection and Ascension. .Just carry on with your Catholic Life if you haven’t yet done so wear the Carmelite Scapular and use and carry the Rosary. These were the twin devotions that St Dominic was shown by Our Lady and told “One Day With These I Will Save The World”. We may not live to see the Triumph Of The Church that isn’t important but Charity is the Love Of God and Our Neighbour! It is good to know that there are so many faithful Catholics. No wonder Bergoglio is a victim of excessive anger. He must be very afraid of us – and afraid of the strength we find in the promise of Christ that not even hell itself will prevail against the Church. And perhaps one could add: even when that hell arises from the errors of an angry – and some might say, evil – pope. Watched the video. Not sure what his (RockingMrE) credentials are, but he does a fair job of explaining God in dealing with good and evil. I appreciate his desire to explain God’s constant benevolence, but he doesn’t really say that God had the ability to foreseen all the complications with letting man have free will – or perhaps that a given. But MrE uses words like dilemma, chance, that describe God’s struggles and I don’t think God struggles. Or perhaps that is his concept of God’s process. Easy. Just cut ther throats. Go on thinking for yourself. Don’t take anyone else’s word for anything. The Blood of the Lamb! Foolish because the Temple knew all about the Exodus and the Blood of the Lamb! The Blood that leads to the Promised Land! But before Heaven Acts it always speaks through the Prophets! You either listen to Jonas or you don’t. Can’t complain if you don’t listen can you? Prophecy is always conditional and avoidable. God’s foreknowledge of our actions is consequential from our actions, not causative of them. BTW a really good prayer to ask for from God is to ask Him to help us avoid our own bad choices, including against our own God-given Free Will if necessary. Against our desire, against our intellect, our deepest wishes if necessary. According to Your Will, Lord, not my own mortal will broken in Original Sin. Hid Answers to this Prayer are what led me to being not only a Christian, but a Catholic. It was the first Prayer I gave to Him in the minutes following my initial Conversion, on the Camino near Astorga. We should repeat this every day.